It’s amazing what can happen through the power of Twitter. 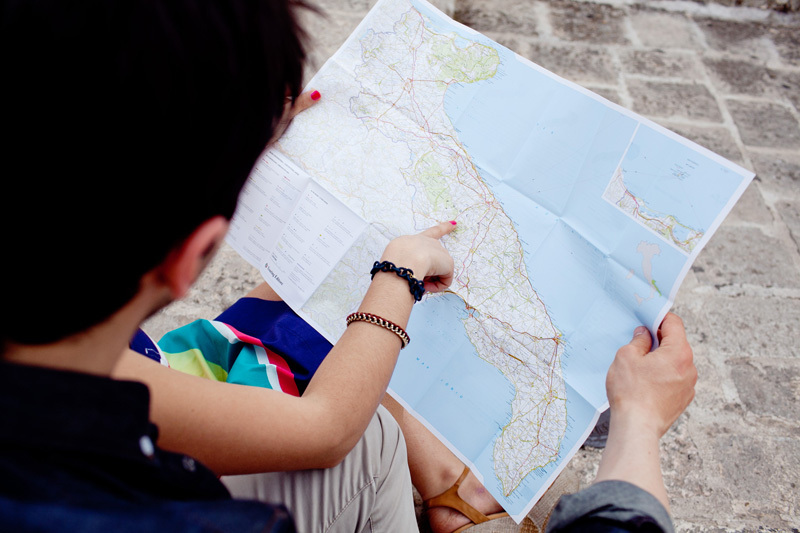 About a year ago, I tweeted that I was heading to Italy in the Spring and just threw it out there that I’d be available to shoot a wedding or portrait session while visiting. Wouldn’t you know, just a day later, Anna (wedding planner from Italy) responded to my tweet and that’s where it all began! After 8 months of emails back and forth coordinating an engagement session, we finally met up on a warm Tuesday afternoon in Bari, Italy. None of this would have been possible without Anna and I am so grateful for the opportunity! More importantly, I’m thankful for a new friendship and connection across the world! Anna chose the area of Alberobello for our session because of its unique village area and trulli houses. 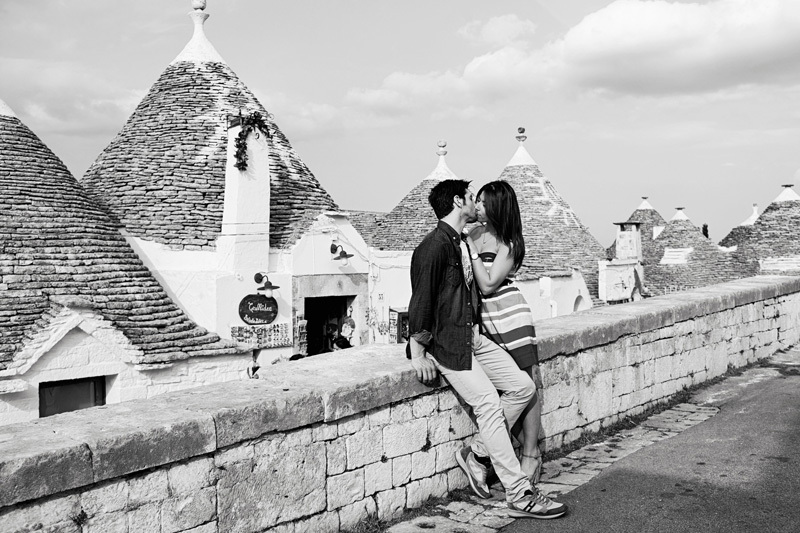 She also found Giada & Alberto for us to spend the afternoon with and documenting their love amongst the trulli houses. It was a day I’ll never forget and hope to return one day soon! 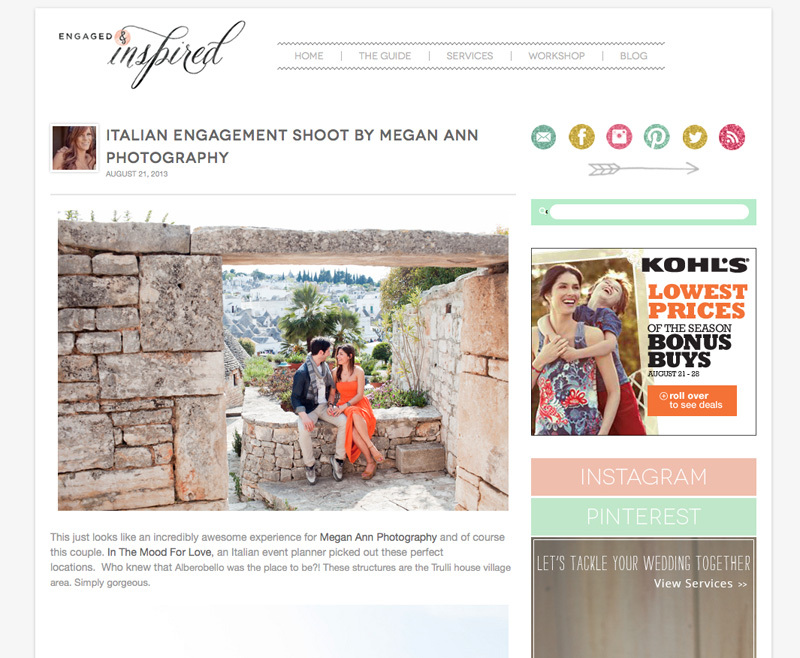 This session was also featured on Engaged & Inspired recently, as well!